A big question I get from my athletes is about fitting everything into their training schedule. After all, there are only so many hours in the week and you need rest days so fitting everything in can be difficult. However, we all know it’s important to limit boulder, campus, hangboard, lift weights, stretch, do injury prevention and mobility work, do power endurance intervals, ARC, do route laps for endurance, etc. This list goes on and on and starts to feel really overwhelming. Fitting everything in feels like you need a time management wizard. Not to mention be able to recover at lightning speed. 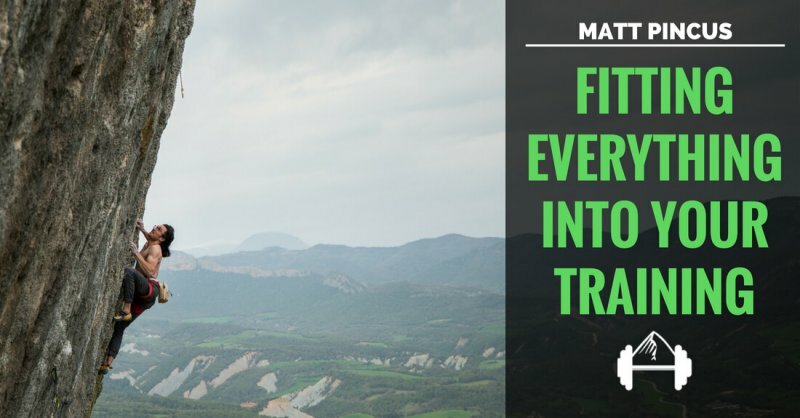 So how can you actually fit in all the training you’re supposed to be doing – you know – on top of having a job and life commitments beyond climbing? The short answer is you can’t fit it all in and you shouldn’t try to. Now, I know you’re not just going to take my word for it. 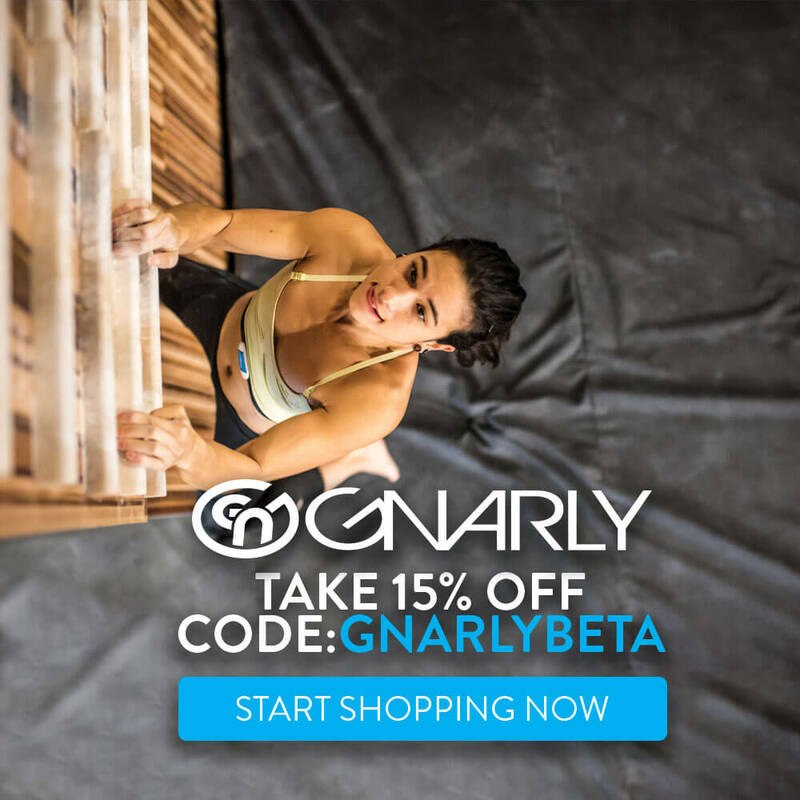 If you’re passionate about climbing and training to get better, then you want to make sure you cover all your bases and don’t want to leave any stone unturned. Recovery ability refers simply to our ability to handle the stress of training/climbing, adapt to it, and get back to a state of readiness for another session. It’s easy to know that training is what breaks you down and rest is actually when you get stronger. It’s another thing to change your training plan or recover better to reflect that knowledge. Ultimately, there are lots of different factors that impact recovery ability and recovery time, but suffice it to say if you are continually attempting to fit more and more into your sessions and your weekly schedule, then you probably aren’t recovering fully. For more information on the importance of recovery, check out Natasha Barnes’ article Stress/Recovery/Adaptation Cycle and Climbing. Essentially, adaptation potential is your ability to improve aspects of your fitness. It’s a finite resource. Even though we might think we can improve our power endurance, finger strength, aerobic endurance, explosive power, and flexibility all at once, trying to overload our adaptation system reduces the effectiveness of our efforts across the board. A far better approach is to cut down on the number of things you are trying to train so that your body can fully adapt to the stimuli you are giving it through training. Fitting Everything In – What’s The Goal Then? Ok, so we’ve covered why the goal can’t be to fit everything into your training at once. But what is the goal then? 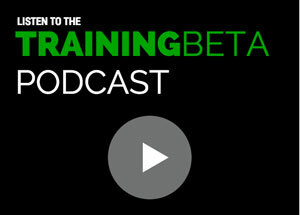 What should you be aiming at and accounting for when designing your training program? These questions are exactly what I’m going to spend the rest of the article talking about. It’s a big topic and when you get immersed in the details of program design there are many different approaches that can all produce high quality results. I’m certainly not going to suggest that my way is the only way. However, I firmly believe that if you keep the following concerns central to your training program, it’s going to be really hard for you to miss the mark. To make things a bit more concrete, let’s make up a hypothetical climber. To make things simple, let’s say this climber has a fairly open schedule where they can train any evening after work, has weekends free, and has access to a nice modern climbing gym. As for their goal, they’ve bouldered V6 and want to climb their first 5.12c during this summer’s climbing season. I know, I know. We just asked what the goal of designing a training program should be. However, I think the answer to this question is relatively simple. The goal of any training program should be to help you reach your climbing goals. Whether that’s climbing V10, 5.13, 5.11, or El Cap, a training program is only a good one if it helps you get there. What your goals are is up to you. The more specific your goals are, the better. Let’s go back to our hypothetical climber. Their goal is to climb 5.12c and their local crag is in good condition this summer. We know that their schedule is fairly open, which means they can get outside on the weekends. Now, hopefully this climber has been training systematically over the spring, but either way, it’s their performance season now. 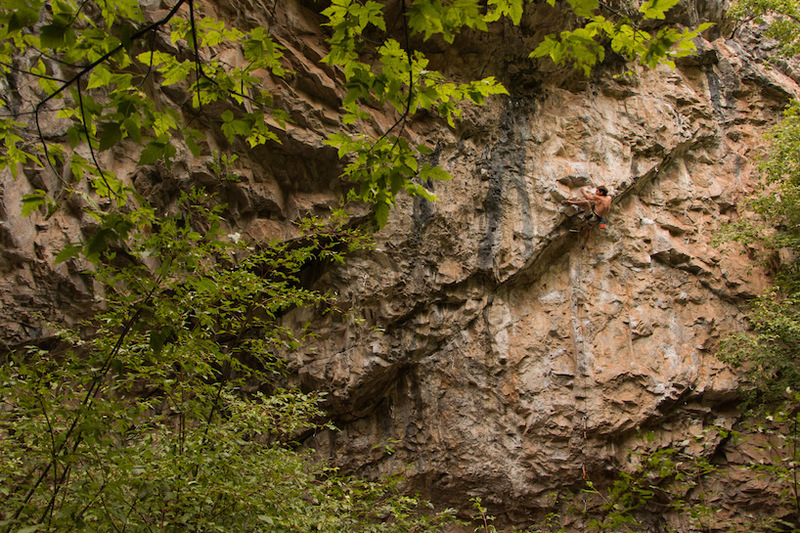 This climber should make getting quality recovered days outside climbing their priority. At this point time spent on their target route or on easier routes of a similar style that will help them build up to their goal is going to be far more valuable to them than fitting in an extra strength session on the weekend. The critical advice here is that the goal has to stay the goal. Too many people get sucked into chasing PRs on the hangboard or a heavier deadlift. Yes, stronger fingers and a stronger posterior chain are great and can be important steps to achieving your goals, but they are just that: means to an end. You can start to get off track when reaching training goals takes precedence over your actual climbing goals. Are the conditions perfect for your goal project? Probably better to head outside and put in some work. The campus board isn’t going anywhere. Keep the goal the goal. Hanging a lot of weight on the hangboard is cool, but not as cool as sending your project. Again, things get complicated when we talk about the minutia of training plans and this is where a good coach comes in. However, on a macro level, I think this question is actually really easy to answer. The key to designing a training program that’s going to help you reach your goals is to target what’s holding you back. Fingers aren’t strong enough for your project? Hit the hangboard. Not powerful enough for the crux? 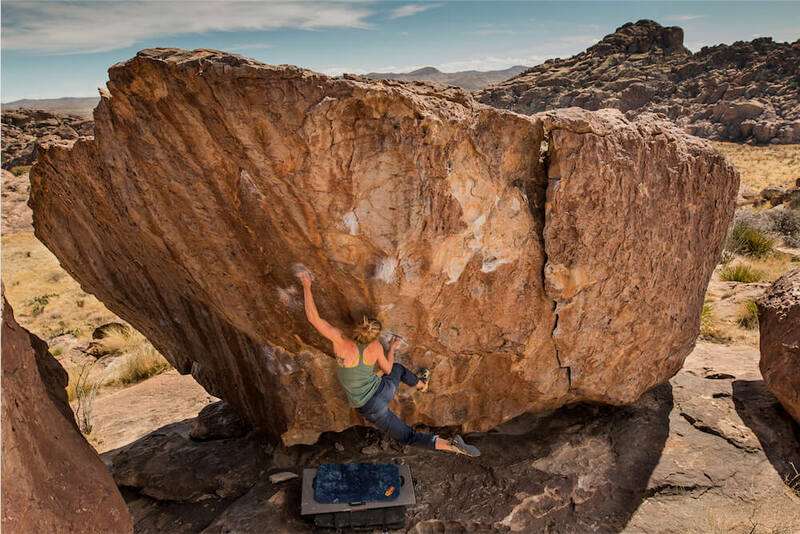 Spend some time bouldering. Always get pumped and fall after two bolts of climbing? Work your endurance and spend more time route climbing. Looking at our hypothetical climber, say they are failing because they just can’t seem to link the 2-bolt crux section together cleanly. They can do all the moves of the crux but just can’t link them. I’d say this seems to be a power/strength endurance issue. If our climber is still going to have two evening gym sessions during their work week, it certainly makes sense for one of them to feature some high-end power endurance work like bouldering intervals. Essentially, what our climber would be doing here is working backwards. The process should look like this: take your goal, figure out what’s preventing you from reaching it, and target those weaknesses so you can turn them into strengths. Obviously, determining what is holding you back is easier said than done. I’ll cover this topic in more detail in a later article, but for now, I have three suggestions. First, work with a coach. Second, use strategies like filming yourself or asking climbing partners for honest assessments to get feedback. What I just outlined is my basic strategy for designing training programs. 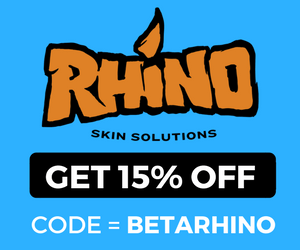 I use it for all my athletes’ plans and for all of my own training. However, the next question most people ask is, “What about periodization?” This is a fair question. However, to really answer it we need to fully define what periodization is. At its most simple level periodization is just a way of organizing your training. Sure, there are lots of different periodization models. We’ve taken them from other sports and some of them work better for climbing than others. If we go back to the idea that we should be designing our training programs by working backward from a goal, then we should decide how we are going to organize our training in the same way. For our aspiring 5.12c climber, they could organize their training in lots of different ways. The most important part is that their goal informed them that they wanted to be feeling strong and ready to send during the summer season. Their training should be planned according to that time frame. 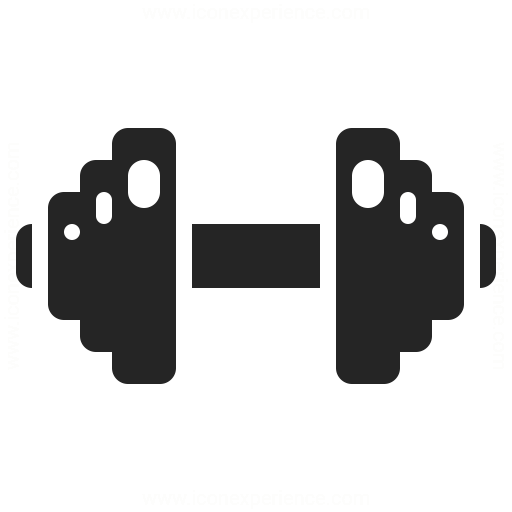 For our climber, something like starting with a strength training heavy cycle during the winter and doing more specific endurance/power endurance as they got closer to the summer season would have been a good strategy. The main takeaway here is that the goal shouldn’t be to fit your life or schedule into a periodization strategy and it isn’t to complicate your training in the name of checking the boxes of a periodization scheme. It’s to plan ahead and then use a periodization model to organize your training to help you reach your goal. Again, there’s no reason to skip days of perfect conditions on your project just because your training plan says it’s a day for ARCing. No matter how you organize your training, the goal still needs to be improving what is holding you back from sending. Know when the conditions are going to be good or when you are going to go try your goal route. Train for that time and use periodization to help you reach your goal. Just don’t let adhering to it become the goal. Ok, everything we’ve covered so far has still been more about what the macro level goals of a training plan should be. As I said before, things get more complicated when we dive into the nuts and bolts. Like it or not, there are lots of different ways to get stronger and improve at climbing. Plus, remember our central concern is to target what is holding us back from our goals. That’s pretty individual. Say your goal, like mine, is to improve your route climbing. But, what if what’s holding you back is radically different than my rope climbing weaknesses? If that’s the case, we should be prioritizing different things in our training, even though the goal is the same. What follows, however, is a list of principles that anyone can apply to program design. 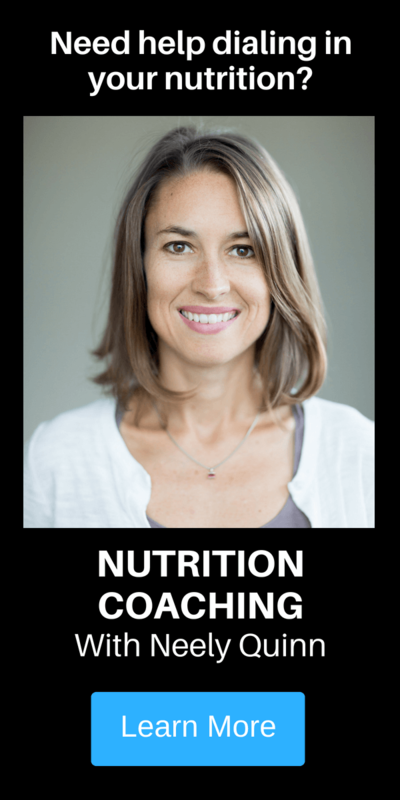 Having a skilled coach help you design a program tailored to your specific goals is ideal. However, if you stick to the following principles in designing your training program, I think you’ll find yourself on the right track. Climbing isn’t a strength sport. It isn’t an endurance sport. It’s a skill sport. Training programs need to have time dedicated to skill development. When I say time dedicated to skill development, I’m not talking about just going through the motions of a drill like Quiet Feet during your warm up. I am talking about deliberate practice, done repetitively, with proper feedback, all at the right intensity. Honestly, this kind of deliberate practice should make up the bulk of your total “training” time. 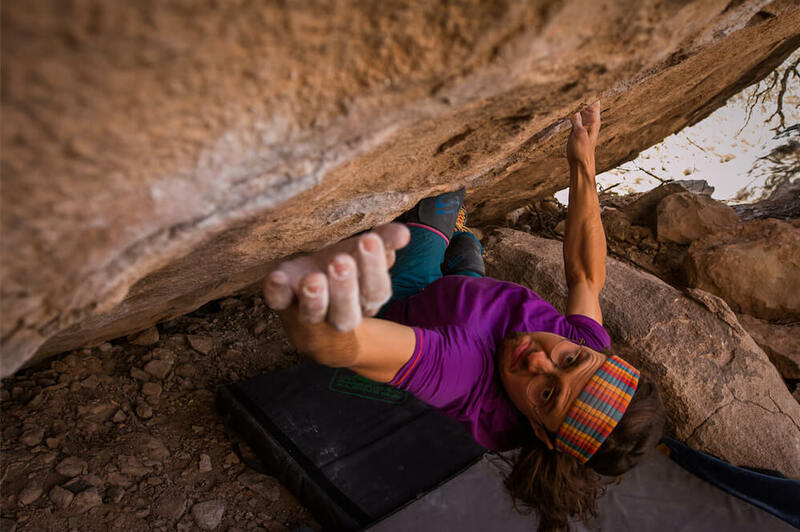 Bechtel calls this the 75/25 Rule and what he means is that 75% of your total time spent climbing should actually be spent with climbing shoes on, deliberately working on becoming a better climber. The other 25% of your time is what you should devote to training to get stronger. What this means is that the 25% needs to encompass your hangboarding, campusing, weightlifting, and anything else in your program where you aren’t deliberately practicing climbing skills. Looking at our hypothetical climber again, we now know that they followed a periodized program from late winter through the spring. Within this program, the winter months had a big strength training focus. That’s great, but their hangboarding and lifting still fall into that 25% of non-skill specific training. Our climber should still be spending the vast majority of their time with their climbing shoes on trying to improve their movement, comfort on lead, etc. Had they stopped climbing altogether during the winter in the name of fitting in more hangboarding and weightlifting strength sessions, they would have been making a huge mistake. 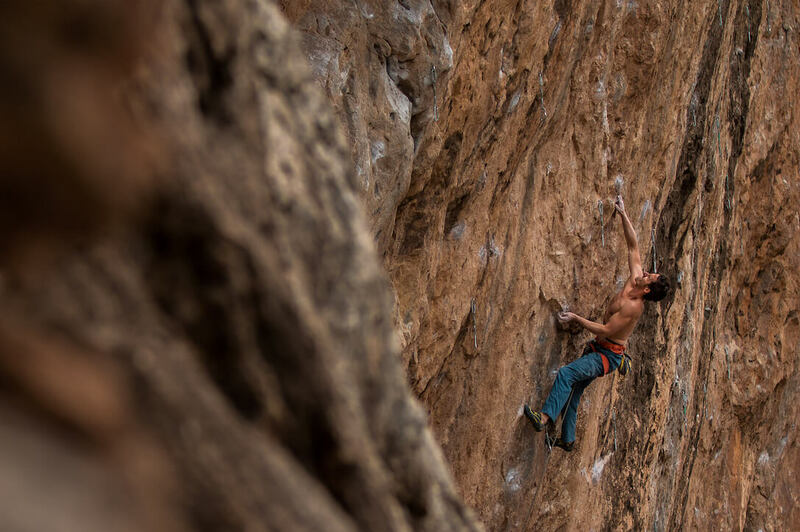 If you want to learn more about how to better structure your climbing practice, here’s an article Steve Bechtel wrote about structuring practice sessions: Climb Strong: Don’t Train – Practice. Now, we’ve established that you should differentiate between training and practice, but what should you focus on within the 25% of your time that you devote to training? Again, this depends a lot on your goal and your individual strengths and weaknesses. However, strength is the foundational physical attribute. Every training program should have a strength training component. If skill development is the first priority, strength is the second. There are two reasons for this. 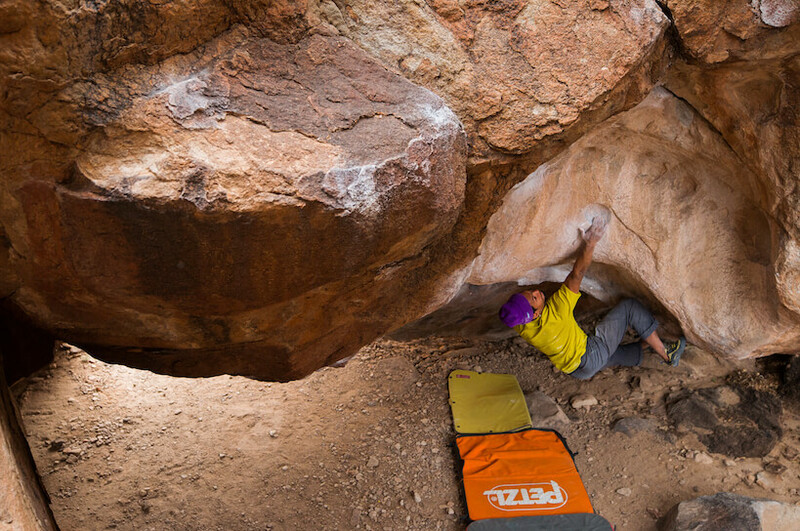 First, strength is the foundation of hard climbing. It is what endurance, power, and strength endurance are built on. You can’t develop those attributes without strength to build on. The second is that strength adaptations develop slowly, but are persistent. What this means is that it’s going to take more sessions for you to increase your finger strength than it is to see an increase in your endurance, but it’s also going to take longer for you to lose those adaptations when you take a break from the hangboard. To see how we can apply this in practice, let’s look at our aspiring 5.12c climber again. We now know that they are failing on their project due to a lack of power endurance. Does this mean they should have spent all winter working on their power endurance and only that? It is what’s holding them back, right? Yes, it is their weakness, but no, they definitely shouldn’t have spent all winter just training power endurance. As we just discussed, you can’t build strength endurance without strength. Sure, our athlete could have made some strength endurance gains with this approach and maybe they would be enough to send 5.12c. Eventually, however, their strength endurance workouts would stop producing results as they would be limited by their current strength levels. Additionally, strength endurance develops quickly in comparison to strength but also detrains much more quickly. Since our athlete’s goal was to be climbing their best in the early summer, the strength endurance work (and any other energy system work) was more critical closer to the target performance period. Working primarily on strength further out from the goal would have allowed them to make larger strength endurance gains closer to their climbing season. Ultimately, this approach of moving from the general to the specific should be part of all training programs. As you can see, there are a lot of different ways to structure your training so that you see results. That’s why if you ask a bunch of different qualified coaches to write a plan to help the same athlete reach a goal, you’re going to see big differences in the training plans they write. However, what I don’t think you should deviate from is the process and the principles I’ve laid out. If you start with a goal, figure out what’s holding you back, target those weaknesses through a principle-based training program, and keep the goal the goal through it all, it’s going to be hard to miss the mark. I hope you’ve found this article informative and that it helps you train more effectively for your own goals! 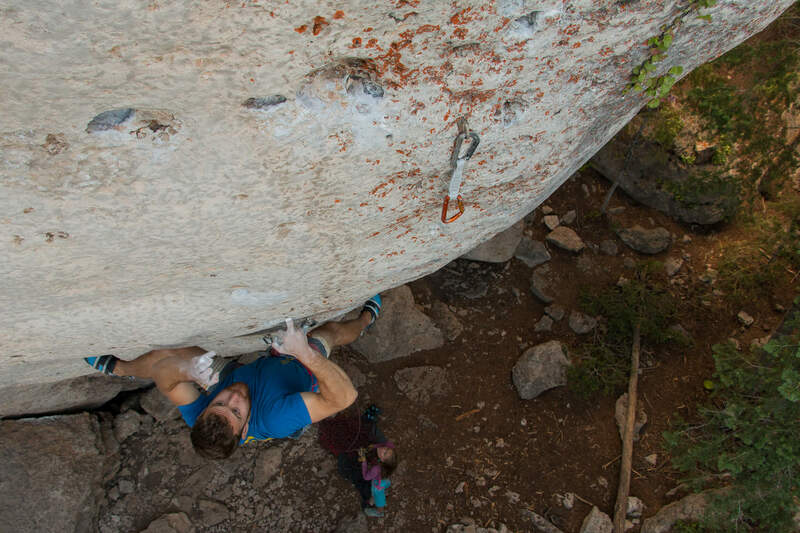 Matt is a boulderer and a sport climber from Jackson, Wyoming. He spends most of his time on the road living out of his van. Matt is responsible for most of the blog posts and social media posts for TrainingBeta and is our head trainer. 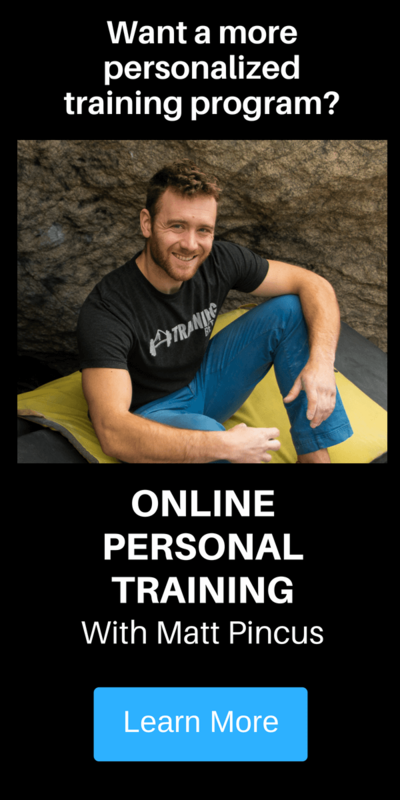 He’s a seasoned climber and coach who can provide you with a climbing training program from anywhere in the world based on your goals, your abilities, the equipment you have, and any limitations you have with time or injuries. Matt will create a custom training program designed to help you target any weaknesses so you can reach your individual goals. 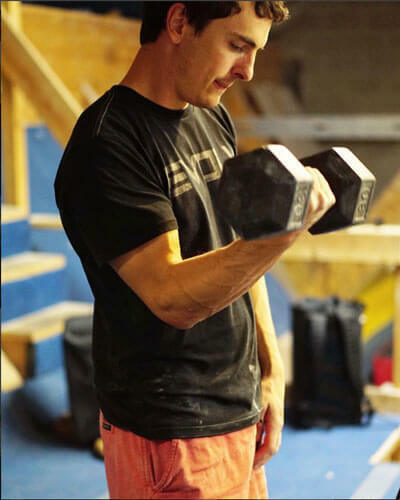 Whether you need a 4-week program to get you in shape for an upcoming trip or a 6-month program to make gradual strength gains, he’ll create a weekly schedule of climbing drills, strength exercises, finger strength workouts, and injury prevention exercises tailored to your situation. It is really hard to fit everything into the training schedule, Matt. I’ve been struggling to do that but after reading your post, I think it will be more manageable. Setting and keeping the goal is essential!